College meme groups have proliferated across the country, sending the message that today’s college students are not only in a state of financial ruin but also crippling despair. 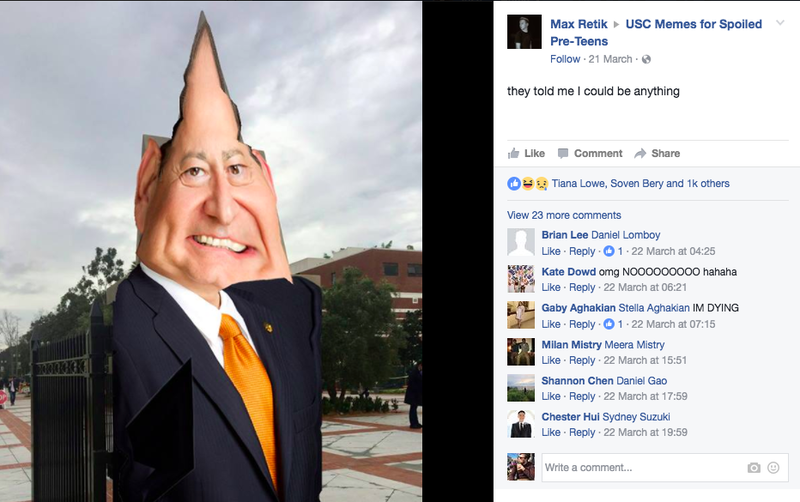 These meme groups, which often comment on university administrations and the infinite flaws of rival schools, are a popular way for students to come together and express their concerns about campus life. 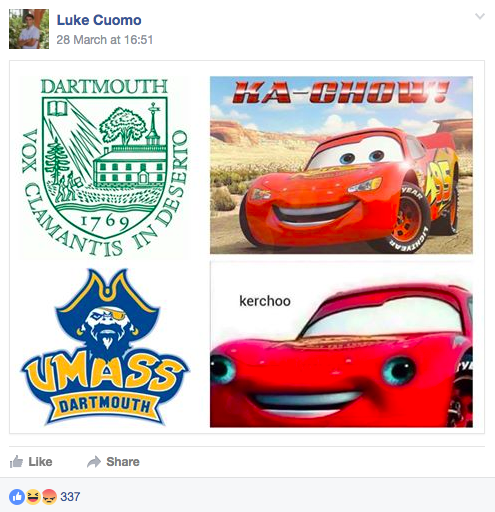 To save you the tedious work of scrolling through each one of these meme groups yourself, we’ve selected the best of the best to show you what today’s universities are really like. 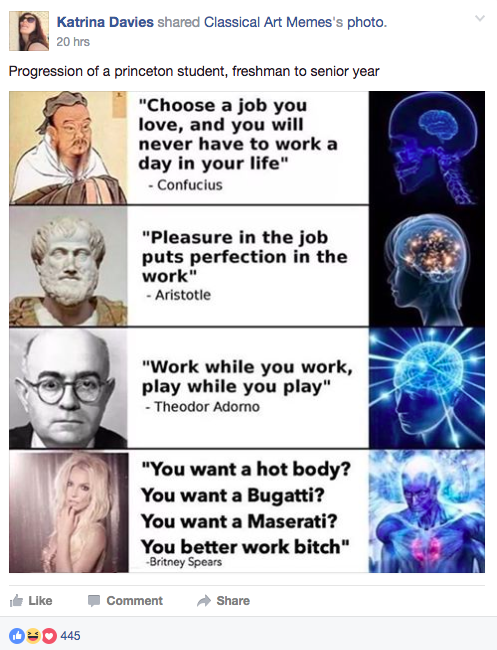 Harvard Memes for Elitist 1% Tweens is pretty great. The simultaneous self deprecation and Yale bashing is never not entertaining, and the photoshop is always pretty on point. Harvard kids know their likes and dislikes – and what they dislike is Yale. 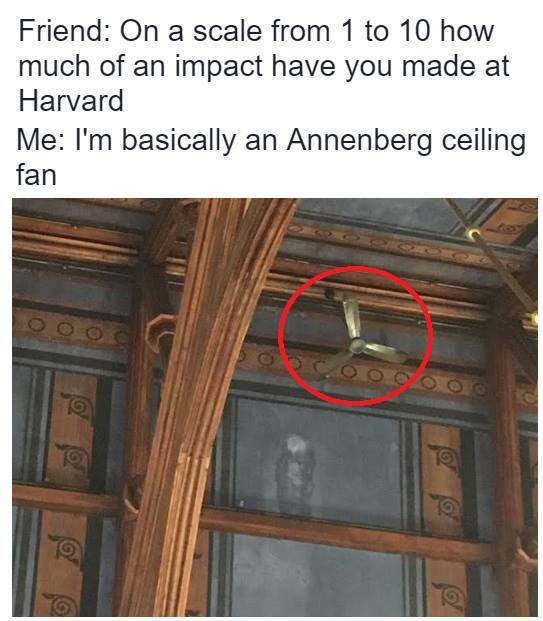 When they’re not bashing their nemesis, Harvard students throw shade at conservative economics professor Greg Mankiw and brag about their Annenberg ceiling fan-sized accomplishments. The following meme was created by Cesar Zamudio. Columbia Buy Sell Memes has united the student body with a fiery love for Rafael Ortiz and burning hatred for that kid in lithum. Valuable currency in Columbia b/s/m include love posts about JJ’s Place, bitter commentary about the ongoing gentrification of Harlem, and of course, complaints about the infamous Core Curriculum. Columbia students are simultaneously woke, hungry, and kind of lazy. Princeton kids are on the honor code – reposts will typically have captions indicating what group it’s being reposted from, all in an effort to keep things honest. Unfortunately, they don’t always receive this same open and honest treatment back, resulting in multiple complaints from Princeton students about the alleged meme thieves, Make Cornell Meme Again and Columbia Buy/Sell Memes. Princeton memes tend to be clever, wholesome, and in general devoid of pettiness. Regardless of whether your college hosts Nobel Prize winners or Oscar-winning actresses, college students are still college students who all love a good egg hunt. 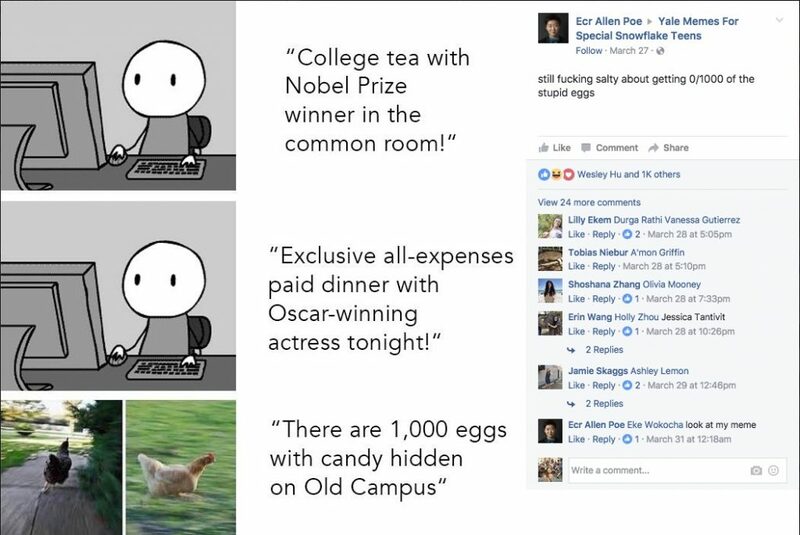 From looking at the meme group, it’s clear that Yalies should be known for more than just their academics as they were able to collect 1000 eggs off Old Campus in just 15 minutes. For being in a place that’s so cold, you wouldn’t expect Dartmouth to have memes that are straight fire. But perhaps when you live in Hanover, New Hampshire, you don’t have much to do besides make memes and go to frat parties. Popular meme subjects include bashing TDX, complaining about housing, and of course, griping about the weather. DMFCAT doesn’t have as many members as many other college meme groups, but the students who have joined seem to spend their days drinking away the cold. Pointy things? Really, President Nikias? According to the admin of USC Memes for Spoiled Pre-teens, University students enjoy poking fun at the administration’s decision to spend money on these mysterious pointy towers, which are situated in front of the main entrance and Glorya Kaufman Dance Center entrance. Considering the sheer popularity of pointy things-themed jokes, you would think that the memes would get stale – but these clever USC students have continuously discovered better and fresher ways to keep things interesting. Apparently a beautiful campus and delightfully warm weather are still not enough to cultivate a cheerful meme group, but regardless, there’s something about these pessimistic posts that just feel so relatable. 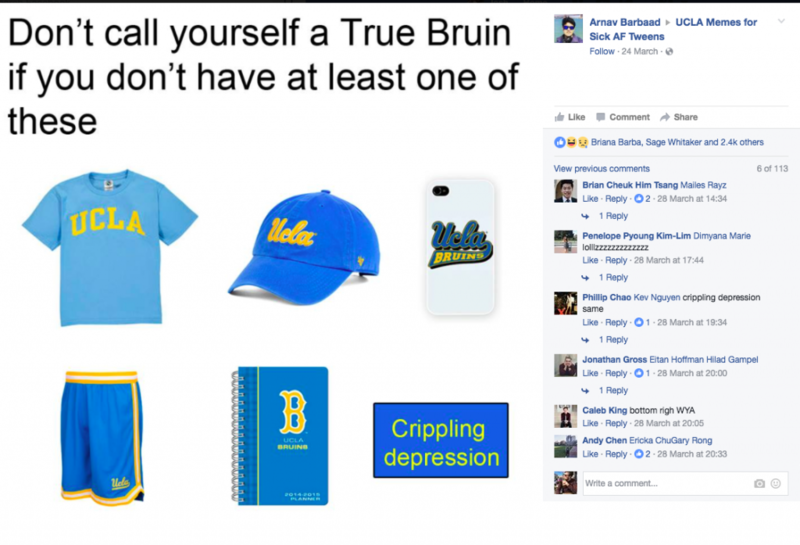 UCLA memes are impressive because of how school-specific they are – nearly every post comes accompanied with a photoshopped blue university baseball cap, yet the “more espresso, less depresso” UCLA vibe can apply to many college students. The other Ivy Leagues enjoy accusing Cornell of being a “state school,” but Cornell isn’t afraid to clap back with their own anti-Harvard and anti-Yale memes, and an occasional anti-Berkeley one thrown in. 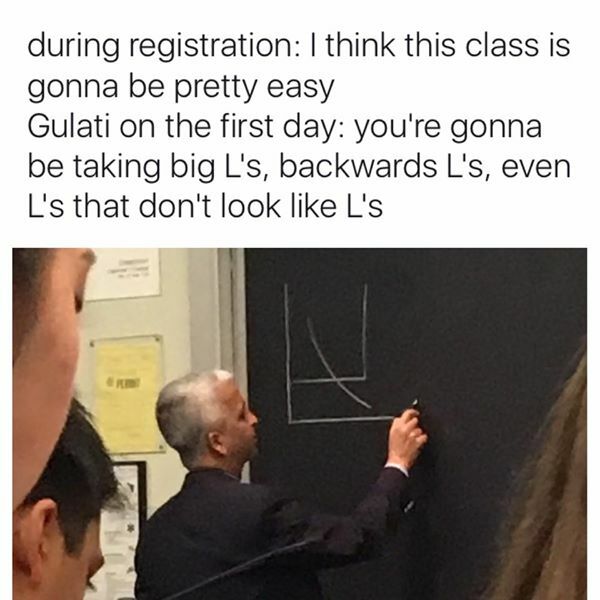 The nice thing is that Cornell memes make fun of everyone, including themselves, and that’s why it works. MIT’s meme page is surprisingly inactive, which probably means that they’re being much more productive than the rest of us. Many Penn students aren’t too happy with the fact that President Donald J. Trump once roamed the hallways of their school, but they make up for it with funny memes targeting this controversial alumnus. 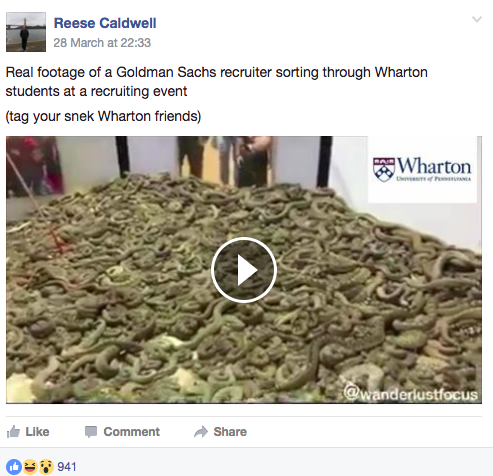 Official Unofficial Penn Squirrel Catching Club is also filled with jabs at the various colleges in the university, the primary targets being Wharton and the Wharton-Engineering dual degree program M&T. Plus, Penn squirrels all have summer internships, according to the description. 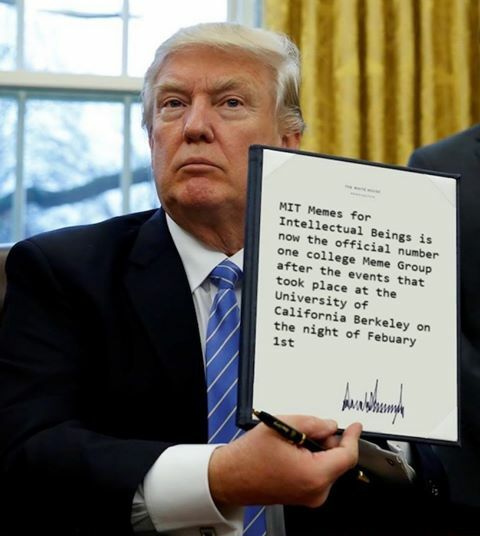 Even Stanford’s memes are working to make the world a better place. 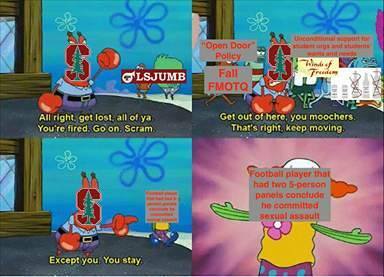 The admin’s personal pick is a Spongebob one created in reference to students’ concerns about the oversights the university makes when it comes to sexual assault cases. Who would’ve thought that a cartoon meme could be turned into a powerful social statement? When these edgy trees are not throwing shade at the administration, they also regularly joke about student athletes and computer science majors – both of whom, according to the memes, are a little too obsessed with themselves. Click here to write for The Tab. An earlier version of this story mistakenly did not credit Cesar Zamudio, a talented memelord at Columbia University. This has been amended and we regret the error.